Vereit Inc. (NYSE: VER), a publicly traded REIT formerly known as American Realty Capital Properties (ARCP), has agreed to settle another batch of lawsuits for $42.5 million which stem from the legacy company’s highly publicized 2014 accounting scandal. 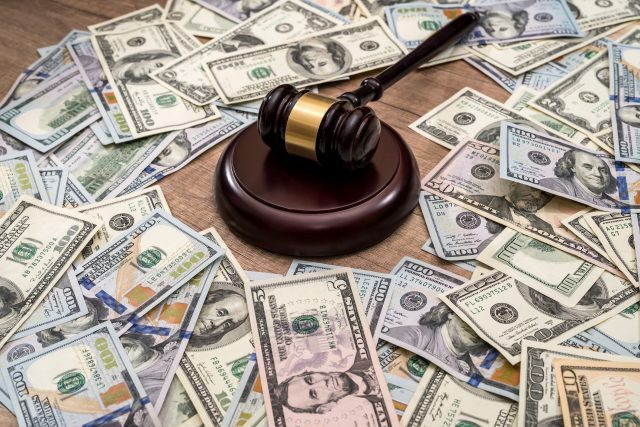 The four plaintiffs in the settlement include Archer Capital Master Fund, Atlas Master Fund, Fir Tree Capital Opportunity Master Fund, and Cohen & Steers Institutional Realty Shares. Vereit has now settled claims to the tune of $217.5 million, brought by entities that hold approximately 31 percent of its stock. The company reached a settlement agreement with Vanguard for $90 million in June, and another earlier this month with eight plaintiffs for $85 million. In the latest tranche of settlements, the four plaintiffs agreed to dismiss all claims against Vereit and the other defendants with prejudice in exchange for $42.5 million. The settlement agreements do not contain any admission of liability, wrongdoing or responsibility by any of the parties. Vereit previously settled with Vanguard Specialized Funds, BlackRock ACS US Equity Tracker Fund, Clearline Capital Partners, Eton Park Fund, HG Vora Special Opportunities Master Fund, Pentwater Equity Opportunities Master Fund, PIMCO Diversified Income Fund, Reliance Standard Life Insurance Co, and Twin Securities. Vereit’s shares closed at $7.37 on Monday. Vereit is a full-service real estate operating company which owns and manages one of the largest portfolios of single-tenant commercial properties in the U.S. The company has a total asset book value of $14.3 billion including approximately 4,000 properties and 94.6 million square feet.